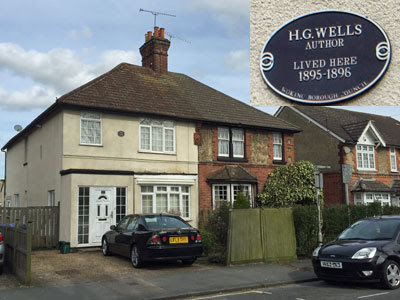 This year the town of Woking is celebrating 150 years since the birth of author HG Wells. 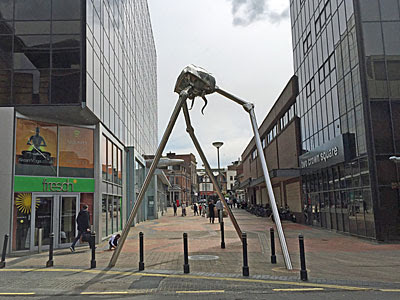 He spent less than 18 months living in the town (circa 1895) but wrote some of his most famous works here, including the most famous of all - The War of the Worlds. Originally serialised in 1897, it later became a novel, several movies, a concept double album and the inspiration for a considerable body of science fiction. The laying waste of humanity by a superior intelligence, and the invaders' fortuitous demise, make for a compelling tale. 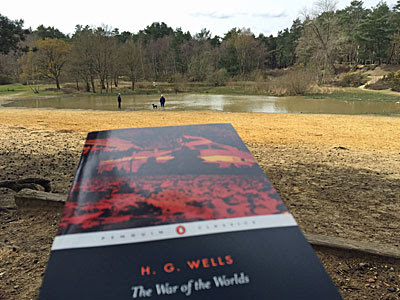 But the story is also thick with geographical detail, as Wells delights in destroying his home town, most of the surrounding countryside and much of north Surrey. "I'm doing the dearest little serial for Pearson's new magazine, in which I completely wreck and sack Woking -- killing my neighbours in painful and eccentric ways -- then proceed via Kingston and Richmond to London, which I sack, selecting South Kensington for feats of peculiar atrocity." 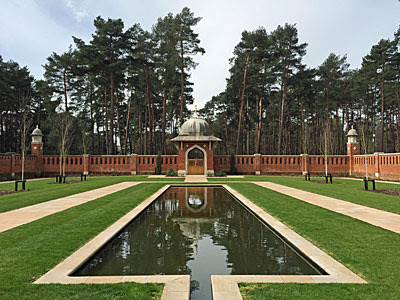 "Very early in the morning poor Ogilvy, who had seen the shooting star and who was persuaded that a meteorite lay somewhere on the common between Horsell, Ottershaw, and Woking, rose early with the idea of finding it. Find it he did, soon after dawn, and not far from the sand pits. An enormous hole had been made by the impact of the projectile, and the sand and gravel had been flung violently in every direction over the heath, forming heaps visible a mile and a half away. The heather was on fire eastward, and a thin blue smoke rose against the dawn."